Both Flame and Ember have the same voice actress, Tara Strong. She's been doing voice-overs for years, a full list would be huge. Lately she's best known for voicing the character "Twilight Sparkle" from the "My Little Pony: Friendship Is Magic" show. Ms. Strong also voices the mermaid, Blink, and several other characters in the game. I wouldn't doubt that, she's got quite a range of different voices. But who voiced the "Ice Princess" and that hyena female? I'm pretty Tara Strong was Teena (the hyena). I'm not sure who voiced the Ice Princess, but I don't think it was her. I found that out when I watched a video of the many different characters that she has voiced. Say what? IMDB has Lily down as being voiced by Anndi McAfee. Cool! I knew Tara strong did flame and ember, I forgot about how she voiced blink and others! I might be wrong about Lily the mermaid's voice, but I was pretty sure that was Tara Strong. I'm a big fan of voice actors and I like to play the "spot an old pro" game any time I watch a show or play a video game featuring someone I know and like in it. This was the first game I played. Man, I've been through a lot with this game. When I was little, and barely knew how to read, I accidentslly overwrote my sister's data. But I just completed it after it corrupted a few weeks ago. Never knew she did all that! but Tom Kenny, aka spongebob did the voices for many characters in spyros 2-4 including spyro himself... couldnt believe that when i found out! still, small things small minds, i thought it was a big deal at the time! 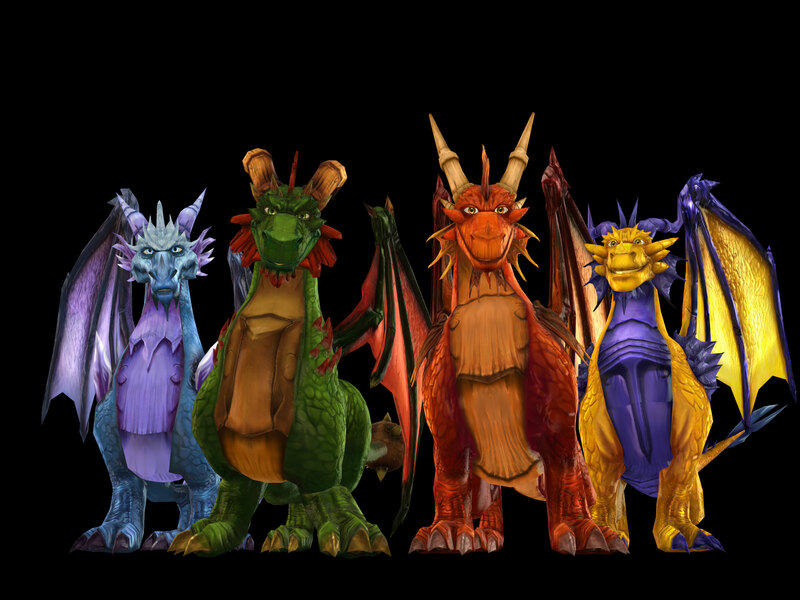 Tara Strong is also voicing Flashwing in skylanders giants. Pamela Hayden did Bianca, now she does Milhouse from The Simpsons. I saw Tom Kenny's name in the Futurama credits too. It's different characters, you're not supposed to think like that, lol. So if you ship Spyro and Elora; Elora would be with Hunter and Flame, too? And possibly many others? MIND EXPLOSION! I also read that Tara Strong is the voice of Timmy Turner in Fairly Oddparents. As Spock would say, Your answer is illogical. I find it funny that she did her "Ben 10" voice for Blink. There is nothing wrong with that. Some are just more talented with a range of deeper voiced characters, like me, when I role-play in the shower (please don't ask me why I do this I just end up doing it, by myself too.) I end up using two different voices for the girls and about five for the male characters. Haha, it's alright. I find myself having the same thing, I can do boy/deeper voices pretty good and equaled as well as female more feminine voices. It doesn't matter on gender.